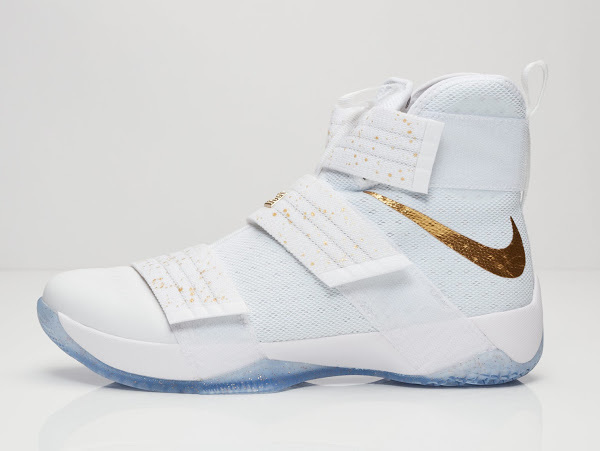 Even though LeBron James is not participating in Rio his latest signature shoe gets to be included in a Gold-themed Nike Basketball pack. 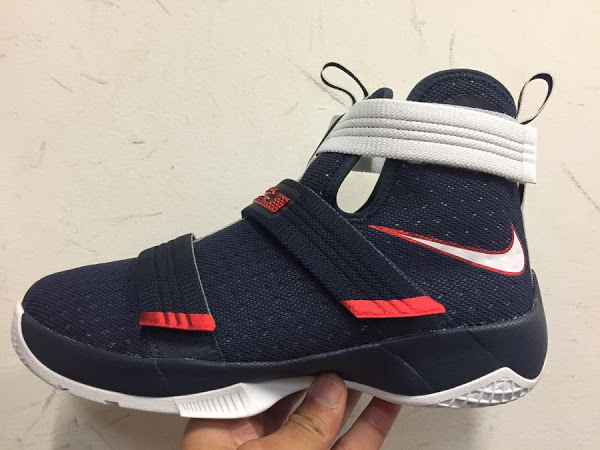 Very similar to the White Soldier 10 Finals PE, Nike is about to release USAB themed colorway with the USA logo on the back of the shoe. 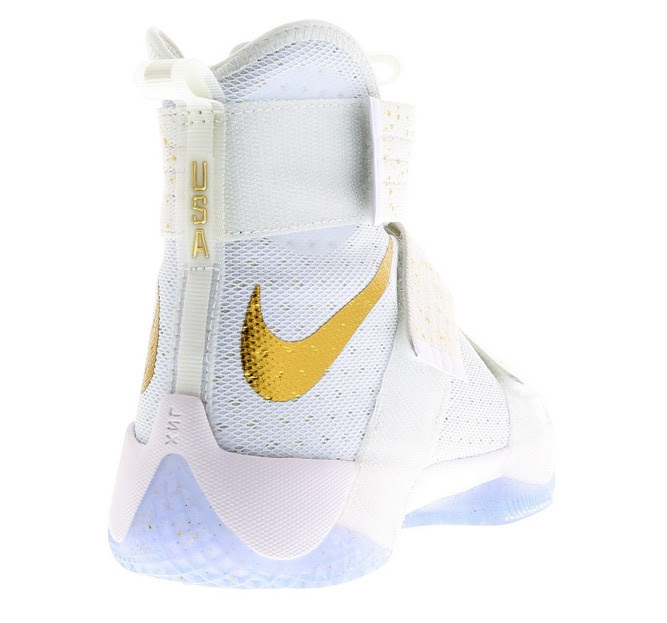 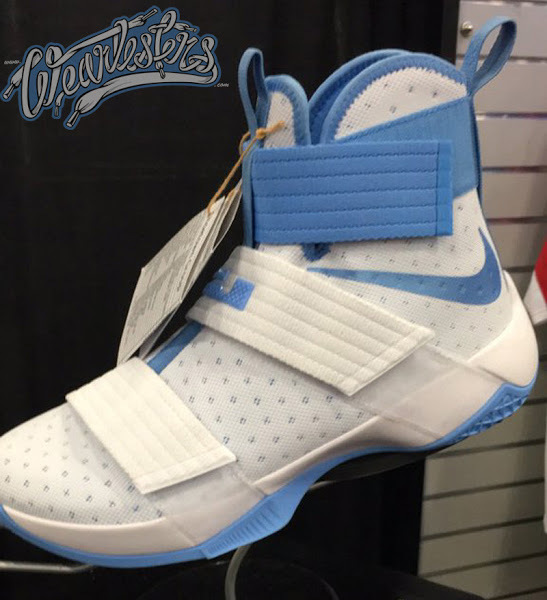 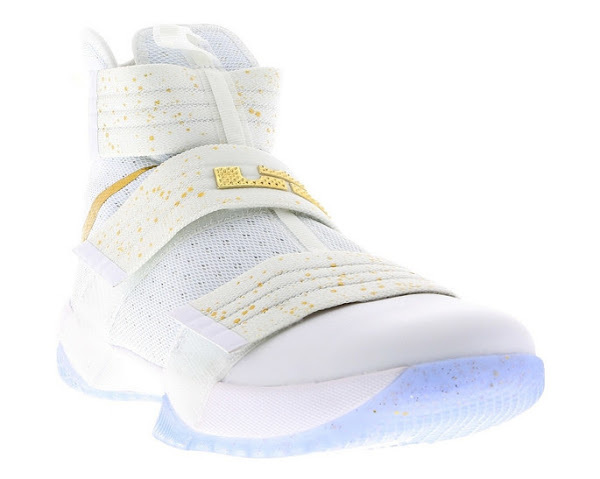 The main difference between these and the Finals version are additional speckles on the straps. 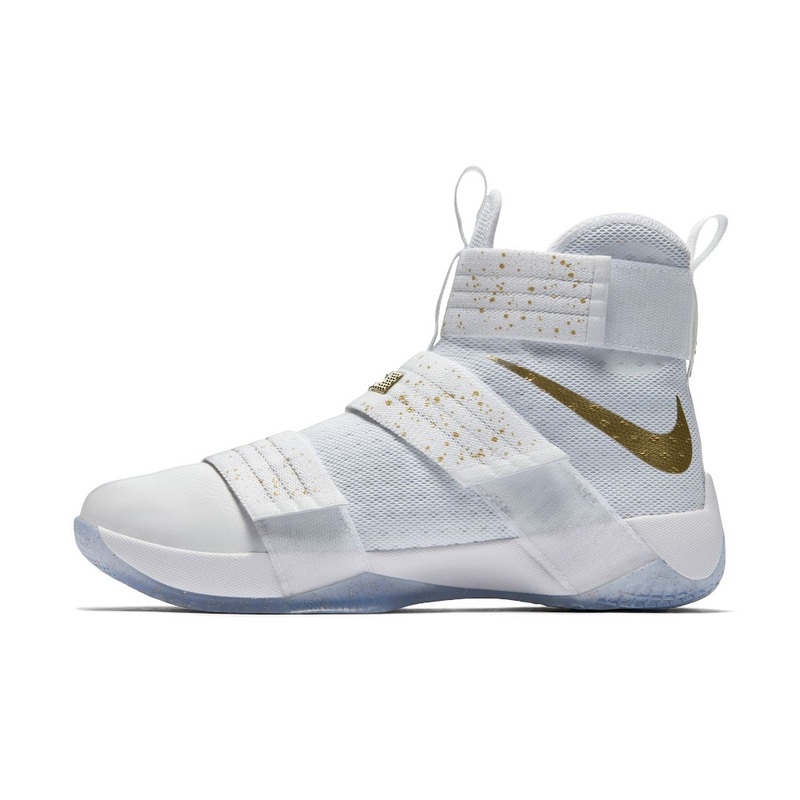 Fans who missed on the Black Finals iD can now get the other shoe instead. 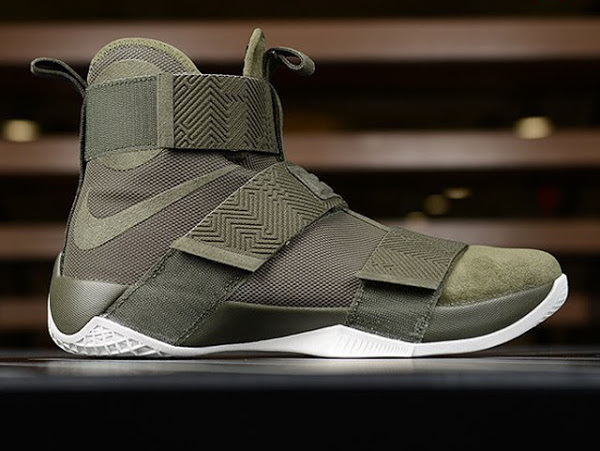 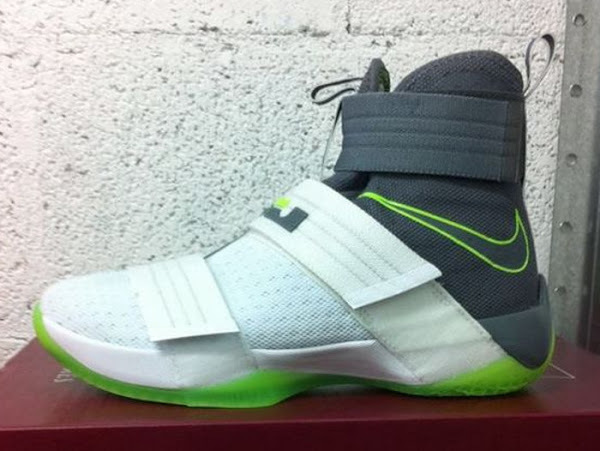 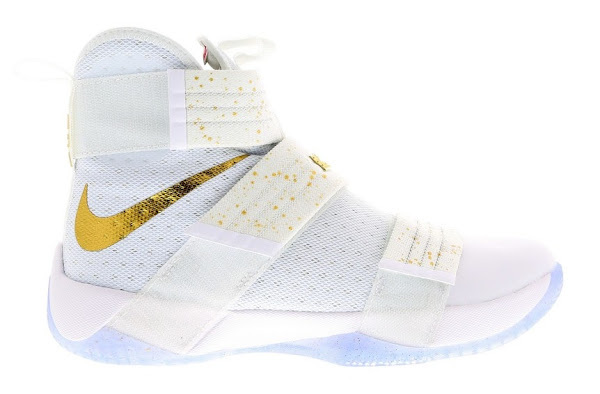 21-06-2016 Coming Soon: Nike LeBron Soldier 10 "USA Basketball"